Fact: Henry Cavill donned a disguise at Comic-Con on Saturday (23Jul16) to prank Suicide Squad star Will Smith. Cavill, who was at the event in San Diego as the trailer for his latest movie Justice League was revealed, shared the clip of him surprising Smith on Instagram. Wearing a Guy Fawkes mask from the movie V for Vendetta, he captioned the clip, "Best Comic Con yet. I got to be here for Justice League but couldn't miss Suicide Squad." Quote: "Basically what I can say is I can't say anything about it right now... I think it's probably best that I say nothing for now." British actor Henry Cavill plays coy about rumours he will be part of the Fifty Shades of Grey sequel. Fact: The teaser trailer for upcoming superhero film BATMAN V SUPERMAN: DAWN OF JUSTICE leaked on the Internet on Thursday night (16Apr15). The promo, the first showing Ben Affleck as Batman, who goes up against Henry Cavill's Superman, was due to debut on Monday (20Apr15). Fact: MAN OF STEEL star Henry Cavill is sporting a black eye after reportedly sustaining the injury during a game of rugby with a group of pals. The British actor showed off the dark bruise during a night out in London on Sunday (15Mar15). Fact: Henry Cavill and Amy Adams became the latest stars to take on the ALS Ice Bucket Challenge on Monday (25Aug14) - as their Batman v. Superman: Dawn of Justice characters. Superman Cavill wore his Man of Steel costume while he was drenched with freezing water and had to endure multiple buckets in response to multiple nominations, while Adams shivered next to him as Lois Lane. The footage of their challenge has been posted online by the two stars' director Zack Snyder. Fact: Ben Affleck and Henry Cavill made surprise appearances at Comic-Con on Saturday (26Jul14) to join director Zach Snyder as he unveiled the first clip from their highly-anticipated Man Of Steel sequel, Batman V Superman: Dawn Of Justice. Hours before the presentation, the filmmaker also unveiled the first look at Affleck in his Batman cowl and later treated fans to a sneak peek at Gal Gadot as Wonder Woman. Fact: Man Of Steel hunk Henry Cavill has stepped out for the first time with his new girlfriend, Kaley Cuoco. The new couple was photographed going for a hike in Los Angeles earlier this week (begs01Jul13), before grabbing a bite of sushi near the actress' home in Sherman Oaks, California. Quote: "I challenge anyone to stare in his eyes for five seconds and not giggle." Actress Amy Adams was spellbound by her Man Of Steel co-star Henry Cavill's good looks and piercing blue eyes. Quote: "I hope they're happy and healthy and their life is good to them." New Superman Henry Cavill bears no ill will towards the childhood bullies who nicknamed him 'Fat Cavill' at school. The Man of Steel hunk recently revealed he was taunted for his chubby frame as a kid. Quote: "I did a whole apple pie, a tub of ice-cream and an enormous pizza." Actor Henry Cavill admits he pigged out on tasty treats to celebrate the end of his new Superman film Man of Steel. The once chubby teen had to work hard to stay in shape throughout filming. Quote: "I don't know if you can be ready for that, to be honest. There's no knowing what it's going to feel like and how it's going to affect my life, (but) yes, you know that going to Starbucks is now a thing of the past." Actor Henry Cavill on how playing Superman in Man of Steel will change his life. Quote: "I don't think we make better superheroes... We just happen to meet the director's vision at the time." New Superman Henry Cavill on the fact that he, the current Spider-Man and Batman are all played by Brits. Quote: "They'd get me up at the crack of dawn, and we'd go to work in this tiny gym at the bottom of the very cheap motel we were staying in. We'd go for an hour, an hour and a half, and then we'd film all day in 100-degree temperatures." Actor Henry Cavill on the brutal conditions on the set of new Superman movie, Man of Steel. Quote: "I trained for eight hours a day, six days a week, for six months. It's exhausting stuff!" British actor Henry Cavill worked hard to achieve the muscular physique he displays in new Greek epic Immortals. Quote: "They just put it on, I turned around and look in the mirror and you can’t really play it cool - you sort of guffaw and laugh. I thought ‘OK, holy hell, this is real, it’s not a joke anymore. This is it…you’re doing it, you’re right in the middle of it.’” New Superman Henry Cavill recalls putting on the iconic costume for the first time. Quote: "They broke it to me gently. I was just told the other day. It's OK, it's nothing to do with me. I just focus on the character and do my job." 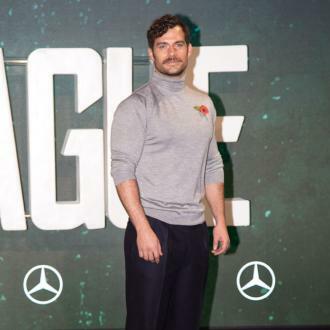 Henry Cavill remains upbeat after learning his debut as Superman in Man Of Steel will be pushed back by six months to allow studio bosses to release The Hobbit next year (12). 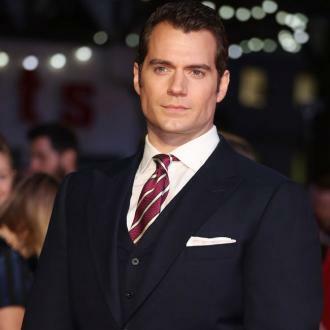 Tweet: "Just heard from my sister that Henry Cavill is going to be the new Clark Kent for the new Superman movie. All I have to say to the brilliant person behind that idea... bravo, bravo... he is beautiful." Singer Kelly Clarkson is thrilled British hunk HENRY CAVILL is the new SUPERMAN. Fact: Sigourney Weaver is in talks to join action hero Bruce Willis on the big screen in upcoming thriller THE COLD LIGHT OF DAY. 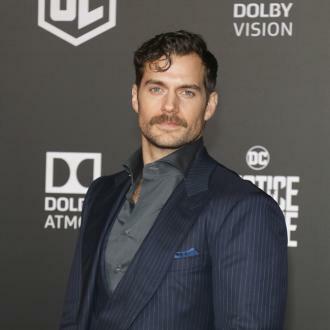 British actor Henry Cavill has already been cast in the film, about an American whose family is kidnapped while vacationing abroad, reports industry paper Variety.